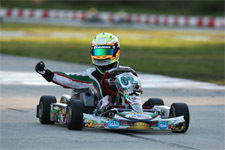 Coming off his championship run at the Rotax Challenge of the Americas, rising talent Dylan Tavella would trade in his Rotax powered Tony Kart to tackle the Yamaha Cadet and Mini-Rok 60 Cadet classes this past weekend. 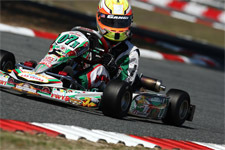 Heading to the GoPro Motorplex in Mooresville, North Carolina for the opening round of the United Stated Pro Kart Series (USPKS), Tavella would emerge the driver to beat in the cadet karting ranks. Taking home one pole position, one second place podium result and three final victories, Tavella was also awarded a cool $1000 total for his efforts, $500 for each class. Saturday's qualifying in the Yamaha Cadet class did not go as planned for the young gun, who found himself down the running order in 17th. Putting that behind him, Tavella went on a tear to end his first heat race all the way in third. Posting seventh in heat two, Tavella would line up fifth for the day's main event. Battling with the lead group for the majority of the final, Tavella would bide his time before making his move for the lead. 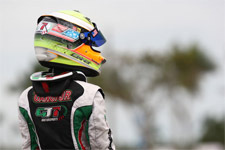 Smartly waiting until the final lap, Tavella sealed the deal to take his first USPKS victory. 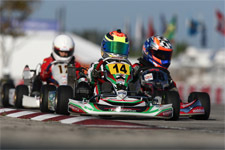 Entering the Mini-Rok 60 Cadet category on Saturday, in its debut at the USPKS, Tavella became the first driver to score the pole position in the class. Using his speed throughout the wheel-to-wheel action, the Massapequa, New York resident would complete the day's sweep. Taking both heat race wins and reaching the checkers first in the main event, Tavella would score his second win of the weekend with a perfect run. Back on track Sunday, Tavella would post a better qualifying effort in Yamaha Cadet with his sixth fastest lap. 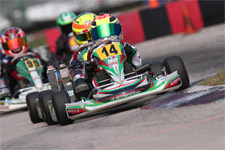 Finishing heat one in third, the 2013 Rotax Micro & Mini Invitational champion bettered his result in heat two after taking the victory. Starting the main from the pole position, Tavella held the lead initially but was eventually shuffled back to fourth. Regaining the lead on the last lap, Tavella would get passed in the closing corners but was able to cross the stripe in second and take home $500 for earning the most points of the weekend. 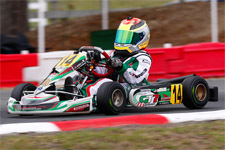 Qualifying on Sunday in Mini-Rok 60 Cadet saw Tavella's perfect streak come to an end, as the multi-time champion clocked fourth in the session. Back in form for the wheel-to-wheel racing, Tavella was unbeatable. Scoring both wins in the heats, Tavella would reign supreme in the final, scoring his second win in the class and collecting another $500. 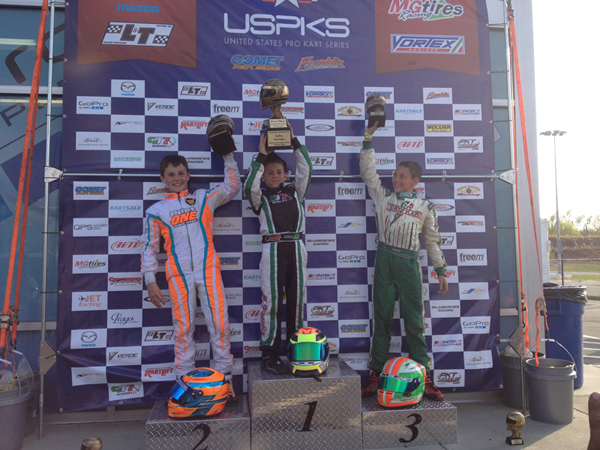 Dylan Tavella would like to thank Charlie Swayne and Daniel Moffet for preparing his Tony Kart chassis, Danny from Bordogna motors for building his Mini Rok motor, Daniel Woltjer for building his Yamaha, GT7 Motorsports, K1 RaceGear, as well as everyone at the USPKS.